Fly rods get all the glory, but when it comes to catching fish and delivering perfect casts, the line does much of the work. This is what you need to know when choosing fly fishing line to spool your reel. 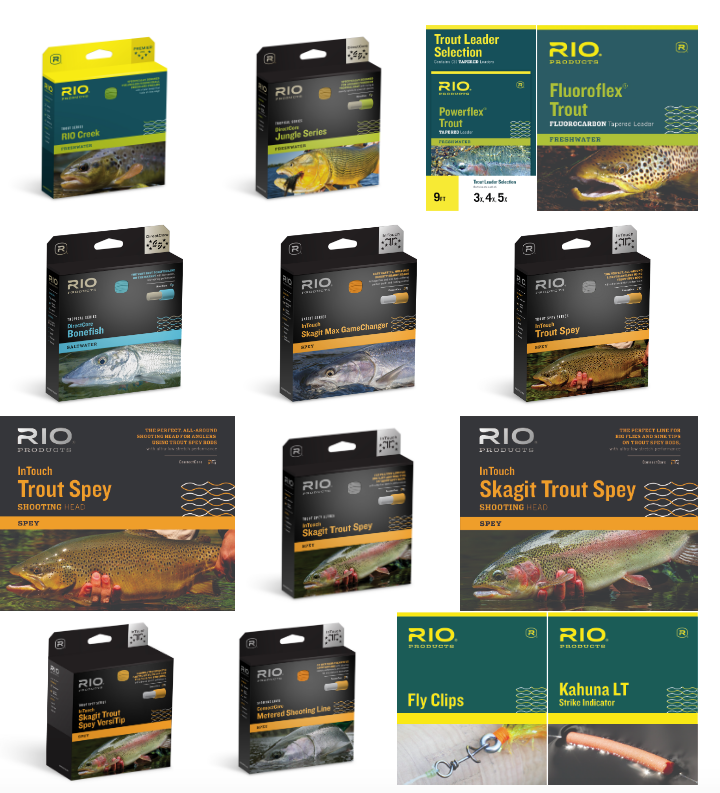 The only thing between you and that trout is your fly line and fly. Your line could present with a splash and spook the fish or it could be too heavy and drag your size 22 PMD down with it. You could run into your backing only to realize that it’s rotted, or your tippet could break off, the fish disappearing back into the water. Backing is fairly simple, especially for freshwater trout applications. Most backing is braided nylon, stretch resistant, smooth, and rated in pound-test. For most trout fishing, a 20 lb. test is ideal. Typically when trout fishing, you do not run into your backing much. If you are fishing a two, three, or even four weight set up, you may not get much backing on your spool. When you are fishing a five weight for trout, the backing is mostly to fill your spool and be there in case you need it. A five-weight reel generally takes between 80 to 120 yards of backing, depending on the line being used, reel arbor size, and design. When you get up to bigger fish or outfit sizes you might want to move up to 30-pound backing. Cortland Micron backing ($22 for 250 yards of 20 #) is a great choice that comes in a variety of colors and both 20 – and 30-pound options. When it comes to saltwater and higher weight setups, backing becomes even more critical. Big fish will run you into backing a lot. You don’t want a failure. If your reel is in a crunch for backing capacity, Hatch ($29 for 100 yards) makes a 68-pound test backing that is actually thinner than regular 20-pound backing. It’s also rot resistant. The only negative is the price. It’s three times the cost of the previously mentioned Cortland Micron backing. Chloe Nostrant is a photographer and artist from Livingston, Montana. She is an employee at the famed George Anderson’s Yellowstone Angler and executive director of the non-profit Bridger Babes. She spends her free time chasing her next catch and creating work about the American West. Featured Image seven fly rods – Photo by Waldemarpaetz Troutster.com. A commons image.